Hump Day is sure to be celebrated this week, as Wednesday, February 22 is also National Margarita Day (one of the few national food or drink holidays that actually count). Restaurants and bars all over Houston will be serving a multitude of margs, not only traditional ones but some creative variants especially created for the cocktail’s well-deserved day in the sun. Berryhill Baja Grill may be known for its tamales and fish tacos, but also offers strong margaritas made with fresh-squeezed juices. Locations in The Woodlands, West U, Memorial City, Post Oak Blvd. 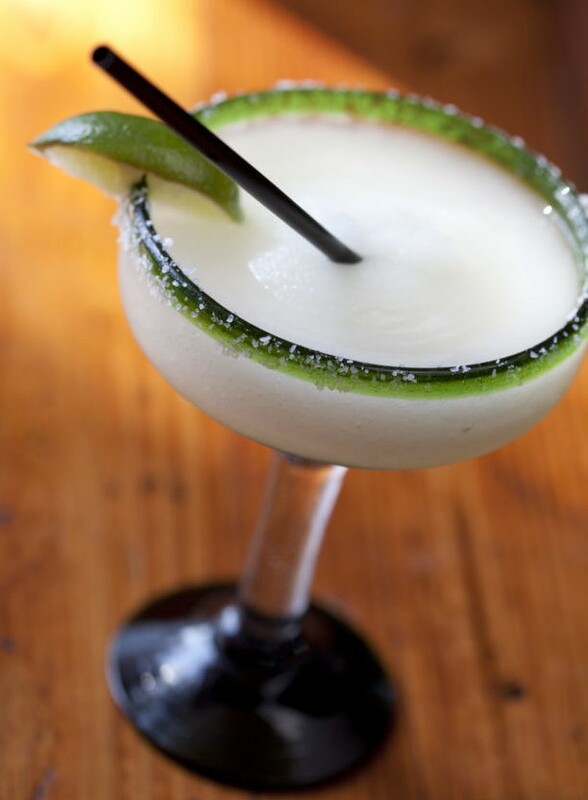 and the original on Revere at Westheimer will be selling its house margaritas for $4.50 all day. Churrascos, Américas, and Amazon Grill (various locations) are starting the party early with $3 house margaritas during lunch (11 a.m. to 4 p.m.) and $4.95 during happy hour from 4 to 7 p.m. Pair those margaritas with happy hour bar bites at Churrascos and Américas for a fancier celebration. 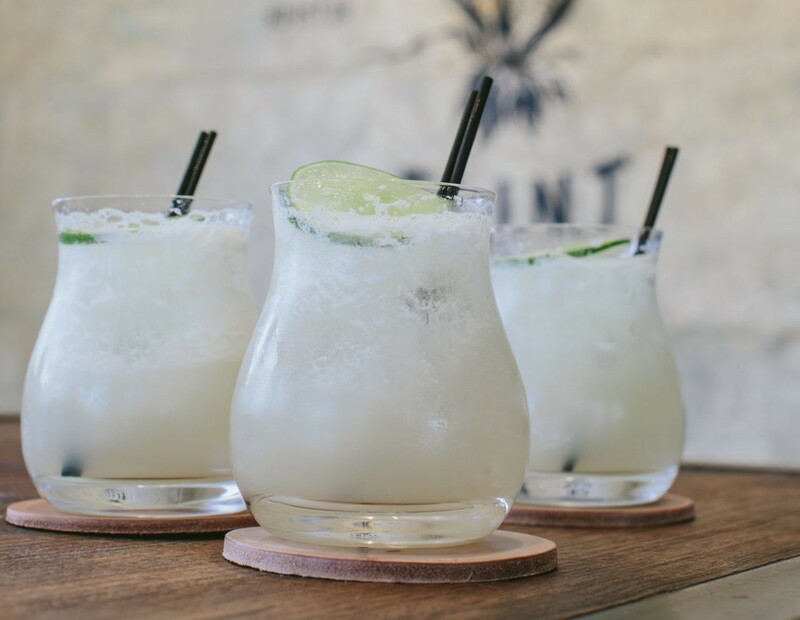 Calling National Margarita Day their “favorite day of the year,” Cuchara (214 Fairview St) is offering a dozen different varieties for $5 each during its comida corrida (fixed price, multi-course menu) and happy hour. Cuchara proudly uses Xcambo liquid salts — a Mexican product that claims to be rich in minerals, trace elements and flavor while reducing the actual sodium content. The dozen margarita offerings (including cucumber, tamarind and watermelon) come in sweet, fruity or spicy flavors and Cuchara has a special ceviche paired with each as an optional purchase. Margaritas are available by the glass or as a flight. Did you know that Cyclone Anaya’s (various locations) is credited with bringing the jumbo margarita to Houston almost 40 years ago? To celebrate, Cyclone Anaya’s is offering its Original Jumbo Margarita at the 1978 price of $5 — half off of the everyday happy hour price. Happy hour is extended Monday through Wednesday from 11 a.m. to 7 p.m. to give nine-to-fivers plenty of time to join the celebration. Heights favorite Eight Row Flint (1039 Yale St) is extending its happy hour from 2 p.m to midnight in celebration, offering $5 margaritas all night. Other happy hour staples are their $3 tacos, beers (more than just the normal domestic choices) and $5 Eight Row Mules. The team at El Big Bad (419 Travis) pride themselves on large parties and they’re going all out for Wednesday’s celebration. Fresh squeezed house margaritas are only $5 starting at 4 p.m. and not ending until last call. A full happy hour is offered from 4 to 7 p.m. with specials on draft beer, wine, sangria, and select bar bites which is perfect since the crawfish boil starts at 7 p.m. Crawfish are sold by the bag (1.3 pounds) for $5.99 per bag, but Houston Food Finder readers can use this link to purchase at a discounted rate during the pre-sale. La Escondida Mexican Grill is extending their happy hour all day long at their Missouri City and Friendswood locations, with $3.75 regular and $7 jumbo margaritas. Other happy hour specials here are discounted domestic beer for $3 and imports for $3.50. A true Houston institution, Molina’s Cantina (various locations) has been serving up their margarita’s for more than 65 years. Their perfect blend of fresh squeezed lime juice, triple sec, and 100% agave tequila makes for a great afternoon on the patio with friends. The Molina’s Famous Margarita is $5 during this special all day happy hour. 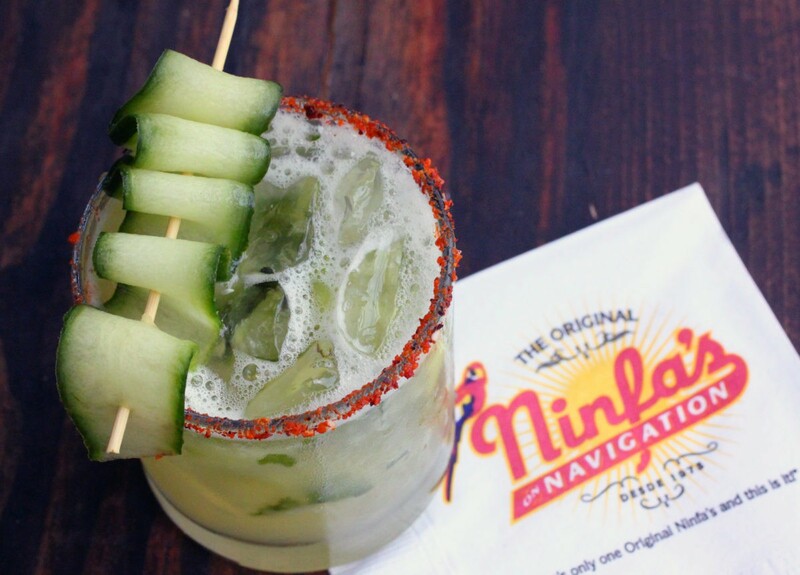 Ninfas on Navigation (2704 Navigation Blvd) is forgoing the classic house margarita special, offering their Cucumber Mint Margarita for $8 all day. Ninfa’s muddles mint and cucumber together, then adds their cucumber simple syrup, fresh lime juice, orange liqueur and Blanco tequila to make this delicious beverage. No frozen option here, this margarita is shaken and served on the rocks with a bit of heat coming from the mole rimmed glass. One thing is clear; whether located north, south, east or west of town, Houstonians are never far from a cold margarita on a warm day.